Do you have an amazing pizza creation? Think it should be on the menu? Here’s your chance! Submit your favorite pizza creation in our Fox’s Pizza of the Month fun! Select your favorite crust, sauce and toppings for a chance to be featured as the pizza of the month on our menu, plus one lucky fan will receive a FREE 21 slice Big Daddy pizza each month. 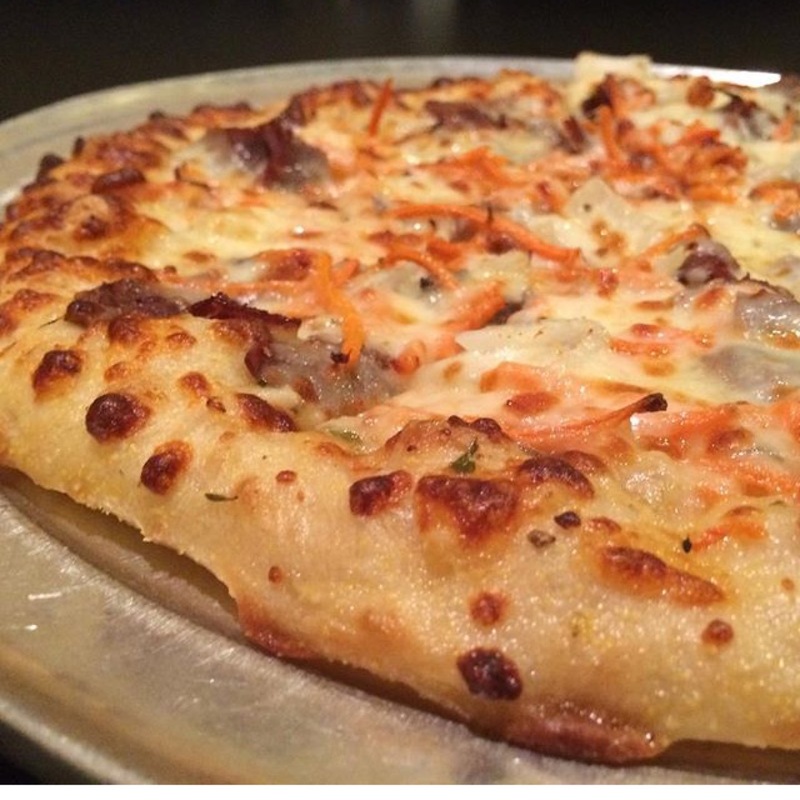 This month’s featured pizza was submitted by friend of Fox’s Gail W. Momma Gail’s pot roast pizza includes roast beef, fresh carrots and diced onions over our white garlic sauce and 100% Real cheese. Submit your favorite Fox’s Pizza today!